The Paralegal Section achieves a high standard of excellence as paraprofessionals by (1) educating members, (2) working collaboratively with other entities (e.g. 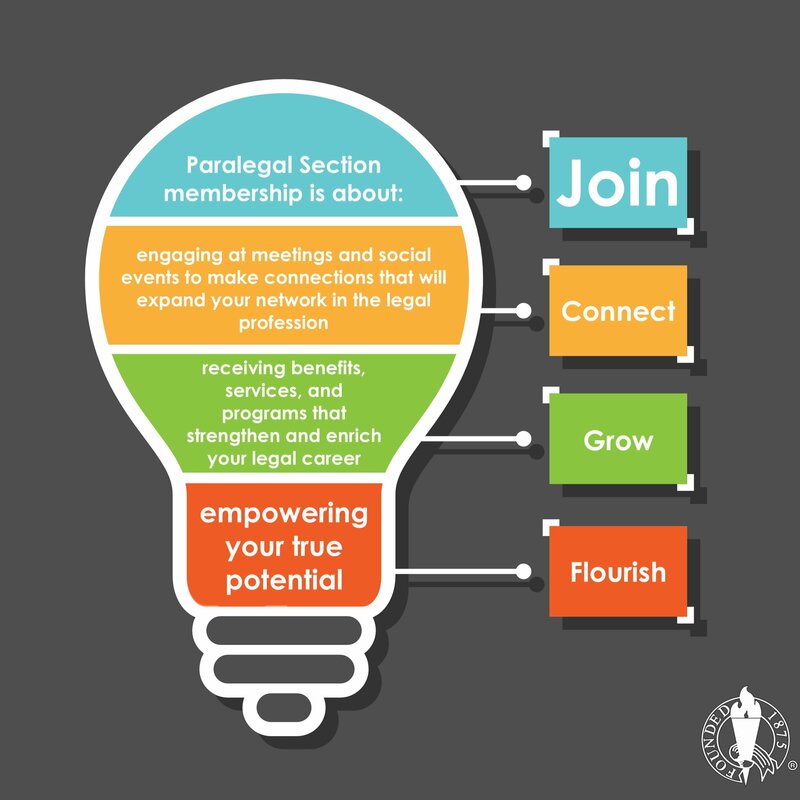 committees & sections) within the Akron Bar Association, (3) increase membership & engagement within the section by hosting social and networking events, and (4) connecting with paralegal students within Summit County. The Section convenes on the 2nd Tuesday of each month (excluding December, July, and August) from noon to 1 pm.